The focus this month is China. There are many stories and impressions of the Church in China. It is a complicated tale, with many sides to it. Here we focus on the opportunities that are currently in existence. Praise God that the United Bible Societies continue to have a wonderful partnership with the Amity Printing Company in Najing. This is one of the largest Bible printing presses in the world. 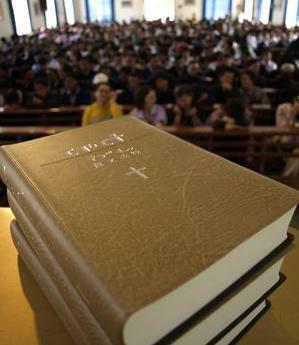 Millions of Bibles are printed there each year, around half of which are exported, with the rest remaining in China. These are distributed through registered churches and recognised book shops where anyone is free to purchase copies. The Bible Society is also able to engage in distribution trips to more remote regions where Bibles are distributed in church gatherings. Official language: Standard Chinese or Mandarin with many ethnic minority languages . An overwhelming majority of the population is found in the eastern half of the country. The west has vast mountainous and desert areas and remains sparsely populated. Though ranked first in the world in total population, overall density is less than that of many other countries in Asia and Europe. Statistics and map taken from The World Factbook and Operation World . It is remarkable to think that about 40 years ago, the Bible was banned in China. Today it is at the top of the best-seller list. The United Bible Societies China Partnership (UBSCP) has worked hard for decades to sustain a unique ministry in China. In 1987 UBSCP responded to the cry for Bibles from Chinese Church leaders and helped establish the Amity Printing Company. This is the world's biggest printing factory and has now printed in excess of 68 million Bibles for China. Bibles are distributed throughout China through the 77 Bible Society distribution centres which have links with 55,000 local churches! There is a fleet of 48 Bible vans which are kept busy taking deliveries all over the country. The main way that Bible Societies like ours can help is by buying Bible paper for printing. Because we fund the paper, the cost of each Bible is kept very low, making it affordable for the churches. Gu Zhi Zhong is 72 years old. 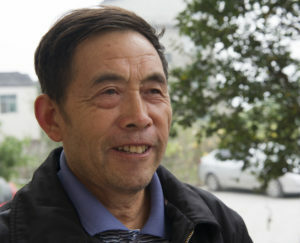 This quiet, gentle man remains an active member in the Gospel Church in Zhangjiajie. In fact, he had even signed up for a lay preacher’s training course held annually in his church. In 1990, Gu’s wife died when she was only 48 years old, leaving him to raise their four children alone. During this period of bereavement and crisis, his brother-in-law invited him to church. There, he saw a book that would change his life. “I saw an old Bible with traditional Chinese characters which I recognised. I wanted to read the book because of this.” So, he bought a Bible from the church bookshop and began to read. Initially, he did not understand very much of the contents. He did not even know the name “Jesus”. But he persevered in his reading and also began attending Bible study classes in church. Through this gradual process, he came to faith in Jesus. Given that there is only one ordained pastor for every 6,700 Christians in China, lay preachers like Gu are vital to the work. UBS is partnering with the Church in China in the equipping and training of these individuals by providing Study Bibles, Bibles and other resources. 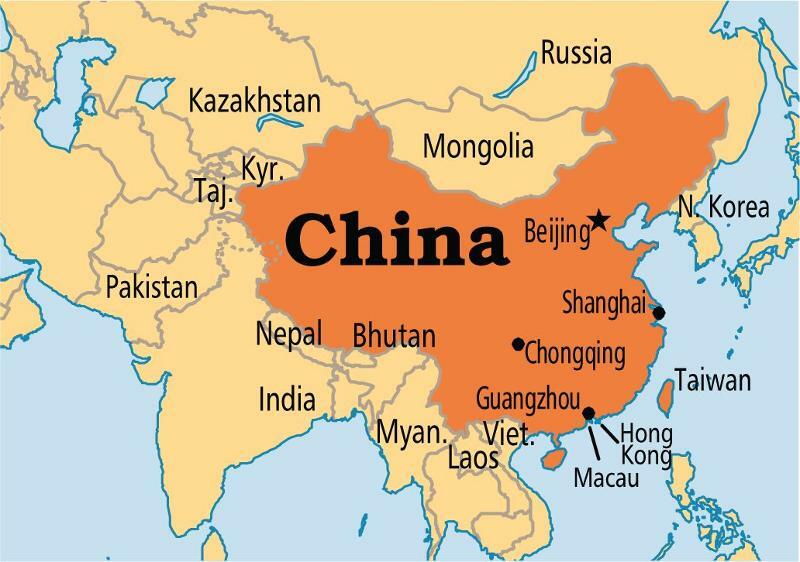 Please pray for the Bible Society work in China and the opportunities that they have to make the Bible Known. Pray that the Amity Printing Company will continue to be granted permission to print Bibles and that their print numbers will not be restricted. 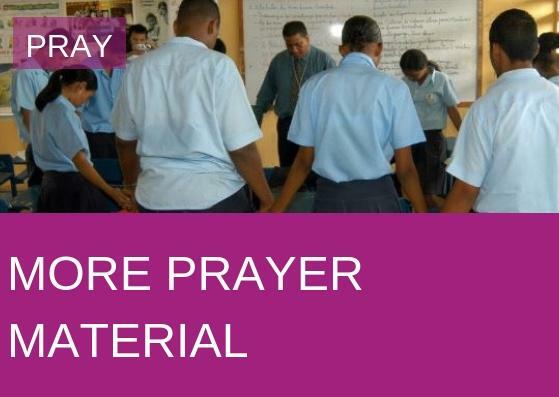 Pray that support from Bible Society supporters around the world will continue for this vital work, so that Bible paper will be available in the quantities required to print millions of Bibles every year. ﻿Pray for the teams distributing Scripture, whether from distribution centres, vans or church Bible shops. Pray that no-one who longs for a Bible would be hindered. 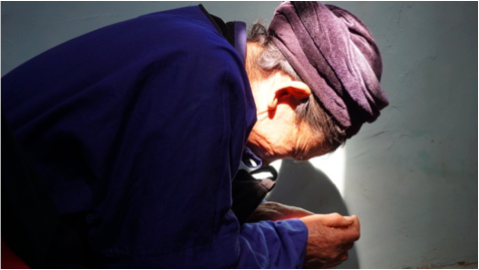 Pray too for the ongoing work to translate Scripture into the minority languages spoken in the more remote regions of China. 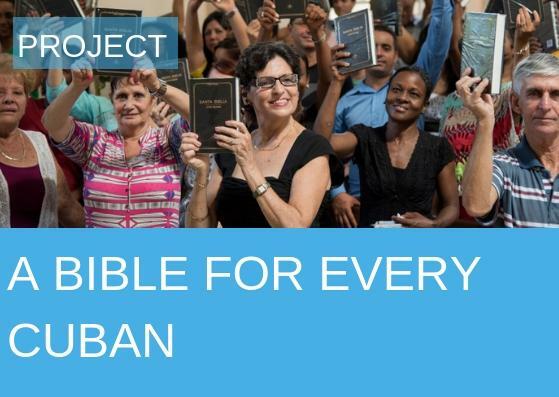 Every £5 donated to this project will give a Bible to someone in China. This project is our Bible-a-month project for April. 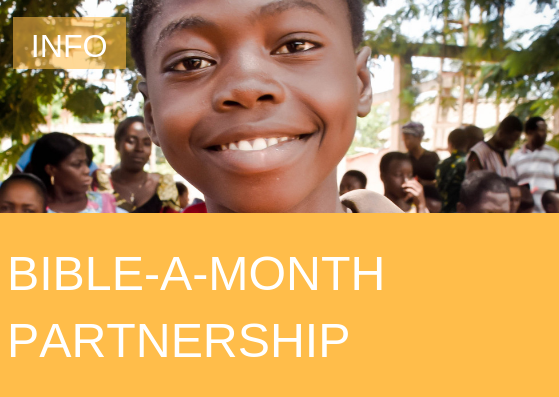 Decide to become a Bible-a-month partner today! 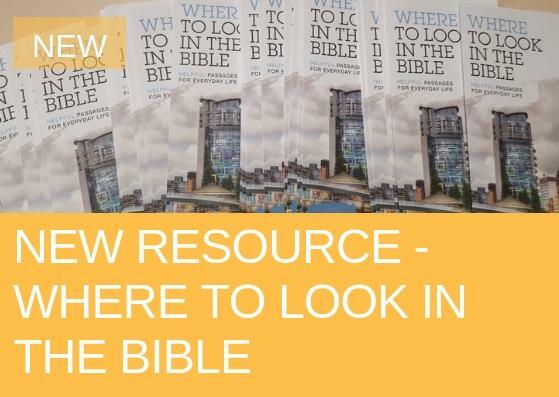 You will receive a free calendar with information about this and 11 other Bible Society projects. Commit to giving just £5 each month and you will ensure that the Word of God is shared across the world. Sign up here. Header image shows 74 year old Zang Yaofang who is happy to finally own a Bible.